Thank you. You have kept me on my feet thru my dizzy spells and vertigo. Without acupuncture I would not be able to function day to day. You also helped my husband with the pinched nerve in his neck. One treatment and and it has never returned. My leg, hip and back pain started earlier this summer. My pain was so bad that it was very hard to walk. Plus, my energy level and libido were low. (I am 48 years old.) I am very active and have 2 large dogs and a husband that require a lot of attention and physical activity, so it was necessary for me to be pain free. My husband suggested I go to Paul Peter Finney, since he had been treated by him and had had good results. My first treatment actually made the pain go away. That was temporary, but, when the pain came back a few days later, it was definitely reduced. I had treatments weekly for about 5 weeks, once a week. Plus, Paul prescribed Chinese herbs for me. Each time I had the treatment, the pain would go away, but, when it came back, it was greatly reduced. After the 5th treatment, my pain was totally gone and it has not come back! I still take the herbs on occasion, especially for my energy level and to keep in balance. I highly recommend Paul Peter Finney for pain relief and energy balance. Thank goodness for Paul! When I made my first appointment I had been having severe migraine headaches for years. They were getting even worse and I was desperate. After three treatments I have been migraine-free for six years! THANKS! It had been years that I had been suffering with headaches, stomach problems, and inability to sleep. The medical community had pretty much written me off after putting me through test after humiliating test. Most came back ‘inconclusive’ leading to a battery of more tests and further mysteries and hospital visits. I was depressed, anxious, and unable to function the way I had been used to. When Paul came to visit, I seriously doubted his ability to change anything about my situation. I had heard about chinese herbology and had previously experienced minimal benefits from acupuncture, but I doubted that something this serious could be healed by small needles and herbs. However, Paul assured me I would begin to feel some benefit almost immediately and that the combination of herbs and acupuncture would be more potent than one or the other alone. He was right. The first few acupuncture treatments actually left me feeling more painful—but a lot of that was eased by the chinese medicine and within a couple of days I was feeling much better. I was able to begin eating proper meals again and my energy levels picked up to levels I hadn’t felt for months. It truly felt miraculous. After Paul left I continued with the herbal treatments and have maintained a level of health that I haven’t seen for a long time. Although I did regress somewhat, I still remain headache-free, I am able to eat regularly, and I am able to keep up with my four-year-old son! 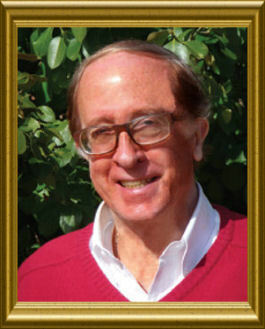 I received my first Acupuncture treatment and Chinese remedies from Paul Finney in 1990. I had been dealing with a tremendous amount of stress in both my personal life and at work. Also, I was having extreme perimenopause symptoms. Paul was able to alleviate all my physical and emotional symptoms with Acupuncture and Chinese herbs and remedies. I’m happy with my acupuncture and feel as though I had a good experience. I would recommend it to anyone. I’m sleeping much better. I was amazed how fast the herbs worked. I thought it would take two weeks before they started working. But they started working immediately.